Snap a selfie & save on National Selfie Day! Posted on Tuesday, June 12th, 2018 at 10:36 pm. 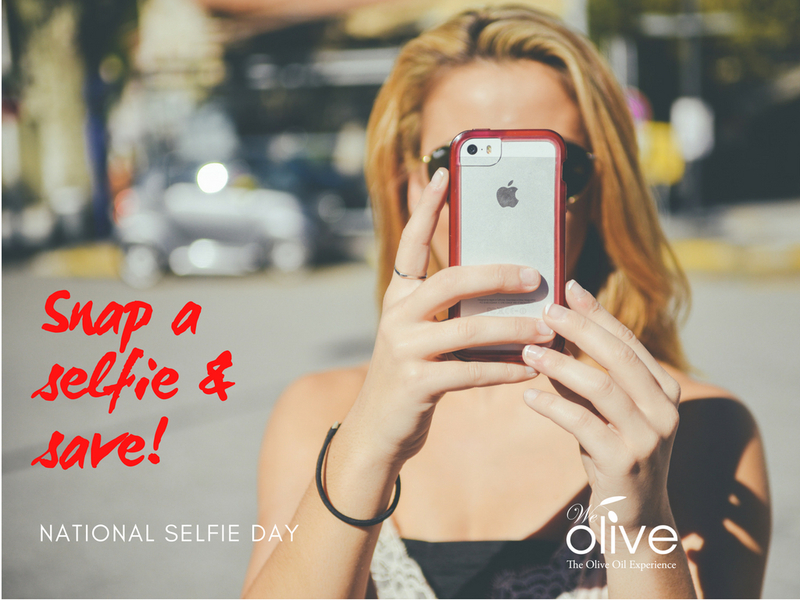 Take a selfie in a We Olive location on June 21, 2018. Post the selfie to Facebook or Instagram and add the We Olive location. Show the selfie to a sales associate upon checking out and receive 15% off your purchase, tax and shipping not included. Offer valid on retail and wine bar purchases. Offer not valid online, in-store only on June 21, 2018. Contact your local We Olive for details.